The Convention in Greensboro, June 2006, could be the most important Convention in 30 years. There is a possibility five different issues will be addressed. (1). The establishment of a framework for the free exercise of principled dissent. The Southern Baptist Convention has been built around the principle of people being allowed to dissent. Cooperation does not mean conformity. Cooperation by its very definition implies diversity. We must get out of this mindset that every Southern Baptist must look the same, act the same, talk the same to be considered a Southern Baptist. We need to examine carefully whether or not we are fostering an environment in our agencies, churches, mission fields, and convention as a whole where God's people feel free to express their concerns without intimidation or fear of reprisal. Abusive authority silences dissent. Since the authority within the convention is the local church, every convention leader ought to be a gracious listener. As a trustee with the International Mission Board, I also believe our field missionaries should be allowed a voice in the process, without fear of retribution, and I will do what I can to establish an avenue for their voices to be heard. (2). The institution of safeguards to prevent the manipulation of the nominating process of the Southern Baptist Convention. Conservatives complained in the 60's and 70's that the Southern Baptist Convention was dominated by the "good old boy" system. We need to be really careful that the good old boy system just didn't move its headquarters to across the street. Any close inspection by the Nominating Committee of sitting trustees might reveal problems of a tight knit, controlled process of selection. The Nominating Committee was designed so that diverse, godly people from across the convention could serve. It is unconscionable for a Nominating Committee member to ever be threatened for not following the desired course of actions by the powers that be. (3). The forbidding of undue influence of agencies and institutions of the SBC by other agency heads. 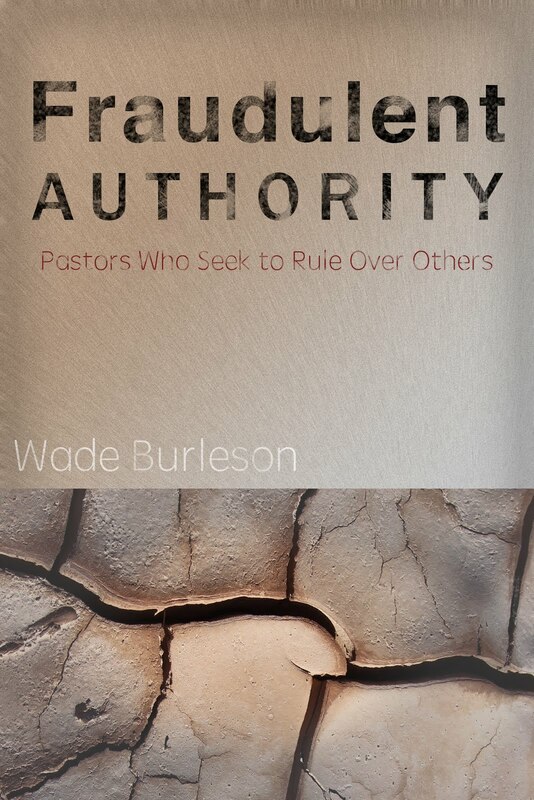 For an agency head of one of our Southern Baptist institutions to seek to control, influence, or undermine the President of another SBC agency through influencing that agencies trustees is parallel to a pastor writing letters to the deacons of another church telling those deacons what is wrong with their pastor. This should not be allowed, and if there is alleged evidence that it is taking place, an official investigation ought to be launched. Southern Baptists do not need a doctrinal watchdog. We do quite well as a convention on our own. (4). The resolution that trustees are servants of the Convention, not directors of the convention. Trustees are accountable to their respective institutions and to the Convention as a whole. Trusteeship is not a privilege or a reward, but a serious duty and obligation. Trustees don't tell the convention what we should believe, the convention tells trustees the doctrinal foundations of our convention. (5). The expression of belief that Southern Baptist Convention works best with a broad front door of cooperation. There are dozens of heartbreaking stories of wonderful Southern Baptist men and women have have felt called to the mission field, and would have been able to serve in decades past through the SBC, but due to the narrowing of the parameters of cooperation, are no longer qualified. Hopefully, in the next few months these stories will be able to be spread around the convention. Look for some on this blog in the very near future. I am greatly encouraged about the recent developments. This demonstrates the ability of Souther Baptists to cooperate in spite of differences. Praise the Lord for the reversal of the recommendation. To be sure, a number of wonderful things have developed under his leadership. What about the move away from formal education for internationals? What good is it if we start hundreds of churches if they are biblical and theologically weak? What is more, what happens after the IMB turns all the seminaries into the hands of the nationals who then in turn allow non-Baptist and liberal professors to train the future generations of Baptist national pastors? P.S. I would be glad to dialogue with you via email. Some time ago, Tom Ascol posted on his blog a treatice on what the controversy was NOT about (I think maybe you linked to it). In it, he stated this was not about disaffected younger leaders. I'm now convinced Tom was wrong. Younger leaders (and I would include you and I in that catagory even though were no longer in our 20's) hold a different set of values than the older generation. Not doctrine, values: openness, dialogue, diversity, etc. The five issues above are important for all of the SBC. But they are vital for younger pastors. This is an age group with a cultural distrust of institutions/denominations. We HAVE to show younger leaders we are concerned for them and value their viewpoint. You are talking about a radical departure from the SBC political processes of the last 30 years. I agree wholeheartedly that this is the needed course of action. You are up against a firmly entrenched opposition, however. What you seek is what the convention lost with the "conservative ressurgence." It was never about theology and doctrine, so much as about the power to control. If the takeover had been about theology and doctrine, it would not have needed to resort the means Morris' Chapman's article said should stop. "It is the sin of Pharasaism when good people, whose theology and ministry are above reproach, are slandered, discredited, or ostracized simply because they refuse to blindly follow particular political posturing. Innuendos, unfounded rumors, sly winks and nods are as deadly as an assassin’s bullet, and usually as ungodly." The problem is that these words are limited to attacks on "good people, whose theology is above reproach." That translates to "those who agree with me." As far as those who disagree, they may be slandered, or subjected to character assassination for the cause of doctrinal purity. It is this character of action by some in the SBC that prompted an overseas seminary to request a guest lecture on the impact of fundamentalism on Baptists in North America. In the 1600's and 1700's, Baptists died to defend freedom for the individual to be wrong on issues of religion. We wanted freedom for ourselves, but recognized that meant we needed to protect others whose ideas were different. We are on a dangerous course when we fail to allow for dissent. As a pastor and a professor, I learn the most from dissent and criticism. It is then that I am challenged to grow and depend upon God, rather than my preconceived answers. Grace and Truth do not come cheaply. They require humility, honesty, and even repentance. That is a road we do not like to travel. Missions and cooperation have been the legacy of the best of SB life. (these are two of the main reasons I joined a SB church more than 30 years ago too.) That is why your blog and this situation have taken off so quickly and passionatly I believe. Its not about us, its about Jesus and making Him known through out the world - picture people, the multiple relgions and what it takes to share the gospel, salvation and forgvieness of sin through Jesus. May we all be called to pray for this SB convention, for the messengers, for loving confrontation about the issues, and for our witness to a lost world and to one another. From an M who needed to pray rather than sleep tonight. What would be the pros and cons of a limit of two terms lifetime on any given agency. There are a multitude of capable Southern Baptist who can serve. Why are some names nominated over over for the past 20 years? Would there be a problem with requiring nominating committee make public the source of recommendation of their nominees. On SBC.net Morris Chapman asks for the covention to submit nominees. Making public who recommended who would reveal to the convention if any individual or group of individuals are given deference in the process of evaluating those recommendations. The first recommendation could be accomplished via motion from the floor to ammend constitution. The second via motion from the floor to ammend the Bylaws. I am really not a critic, nor am I a ra-ra supporter of the current policy changes proposed by the IMB, and I am (based on the limited information) opposed to your removal as a trustte. It seems like you have had major concerns about the SBC prior to your recent experience with the IMB, perhaps prior to becoming a trustee. As I read some of your more recent posts, it seems that your criticisms are growing in zeal and scope. I definitely appreciate your earlier praise of the SBC and your desire that people not forsake it. But it seems now, according to the content of your recent posts that the SBC may not be that praise-worthy. Is the SBC a "good 'ol boy network" making "unconcionable" decisions, doing "heart-breaking" things to missionaries, is there a "pope" in the SBC? Your language and your accusations just seems to be getting tougher. Is it just me or am I sensing a change of tone? Are you now consciously using the current spotlight that you are in to effect changes that you feel should have been made all along? I have found Dr. Rankin to be an excellent listener. Voice your concerns. Voice them to him first, and then others if necessary. I think you will find most alleged problems (i.e. lack of an emphasis on seminary education) have answers that will satisfy your concerns. If not, then work for change . Just make sure it is done in the light of day with pure motives. Good leaders will be able to endure criticism, and even be better because of it. Good policies will stand the criticism. Bad leaders and bad policies can't stand under the light of scrutiny. Do what you feel you need to do in the light of day. Thanks Wade! I have been told by two or three IMB consultants that, although academically qualified, the IMB would not appoint me as a professor. They did say, I could go as a church planter and maybe teach a class or two. Or I could informally train pastors through non-traditional techniques. That, of course, would be the only option in closed countries or areas without a seminary/college already established. The reasons the consultants gave me made sense to a limited extent. I will seek more answers through the appropriate channels. This is not an attack against the IMB, but merely a concern for the future of theological training on the mission field. Everyone MUST read Art Roger's post entitled A Clumsy Retreat. He NAILS the Wade Burleson issue. Will the issue of "recognizing those who have a private prayer language as legitimate Southern Baptists who can serve the convention" be addressed as well? I allowed your post, though I must be clear, I disagree with part of your premise. I can't speak for everyone, but I know I was involved in the conservative resurgence BECAUSE of what I perceived of a doctrinal problem, not because I wanted control. I know many in during the resurgence that were slandered - and were on the other side of the contraversy. Frankly, while we often disagreed, they were my friends. I think that Morris Chapman was not trying to imply that slander is ok if you disagree but only out of bounds if you are upright. Rather, I read his words to say that because they are upright, the the disparaging comments were therefore slander. I agree that knowing who is doing the nominating to positions within the SBC would be helpful, but I doubt revealing the names of the nominators would help. Remember, all a caucus group would have to do is assign less noticable people to make the official nomination. Frankly, this is a problem that I have no idea how to address - other than for the SBC to receive all nominations from the floor, giving up the state nominator process. This, of course, would lead to other, very complex, problems. I think Wade's service in the SBC is well documented. However, moving to the national level puts one in a completely different political situation. When he vocalized dissent within the BOT, he became the target of the caucus group. Nothing like becoming the target of a group's verbal assault to get you speaking loudly about important issues. As usual, they fail to understand that intimidation increases the commitment of those who are passionate. Wow. Thanks for the endorsement. I took out the phrase with the word "pope." Thanks for the suggestion. I don't think I am harsher, but I will sure take a close look at all I write to make sure it is said in the right spirit. Again, thanks. The private prayer language and disqualification for it falls under theme number 5. Impossible to know but I shutter to think where the ship would be if those conservative brethren had not intervened. Seems to me a great host of folk would like to board that ship again. Bon vonyage. There is a person who has attempted twice to comment on this blog and I have rejected it both times. If that is you, and you are reading this, I will make you a promise. If you sign your name to your post, call me to verify your identity, I will put your post on my web site. I am not afraid of personal criticism, or anyone who resorts to calling me names such as you have. However, you must have enough backbone to talk to me personally first. That is the biblical way. Not that Wade needs defending, but I don't hear any negative tone. He has praised our missionaries. He has stated he is proud of his SBC heritage. When I listened to his message after the trustees voted to remove him, I heard a man who loves God, his family, his church, the SBC and our missionaries. Thanks again Wade for your stand. As i read your blog and also the comments of other men and woman of God I some times long for the days of my Granfather who's only conceren was for the flock that God gave to him,or the days of my Dad who gave himself to his flock but also to the ommunity, now it seems that as the shear size of the SBC and it's many subsidaries(ie... IMB,NAMB,State conventions, Local Association's)has taken to task the local Pastor no longer protecting the flock from evil but also dealing with politics not only in the local church but in all of the subsidaries Named above. Oh how I long for the days of winning people to Christ and that being our major function. P.S. don't take this as giving up but only looking for that Witch is right in our calling. and if you don't post this i understand it's not about what is wrong but what we are allowing to take the place of our major funtion. I just wish that every pastor those who are at the large church and those who pastor the small church and those who are bi-vocational could afford to go to the SBC convention and let their voices be heard. Sorry for anonymous-missy's told no blogging. SBC could tell trustees & org heads not limit employees past Baptist Faith & Message. It is test of "like faith and order" Stop add/take away from bible! IMB & NAMB under fire, many fear more scapegoating and "layoffs" Please help missionaries & staff! The news reports are somewhat confusing. Is the real issue your "blogging," or is it "the less important doctrines?" I have the impression your concern is the IMB requirements for missionaries sent by and supported by the Southwern Baptist Convention. Should not the sender have the privilege and responsibility for establishing requirements for their representatives? With regard to "unimportant doctrines," I fail to find any such in Scripture - as Paul stated in Timothy. Certainly, Baptism and Tongues are important doctrines. The latter especially concerns me as a Believer as Paul taught in 1 Corinthians 13:8-10, and 12:11. I accepted Jesus as my Lord and Savior in 1938, and have joined congregations of Baptists and other denominations in several different states. I have also been privileged to observe Baptist missionaries witnessing and teaching in Brazil. Baptist Press had a story for about 6 hours today, but pulled it this evening before the weekend, what courage! It’s with a genuine sadness that I follow the situation in which you find yourself. Frankly, it’s a sadness I’ve lived with for over 25 years. It has to be disheartening that the “conservative resurgence” you helped bring about is now turning on you. But that’s the way it goes with the people you are dealing with. They seem to have an insatiable need to fine tune theology, to arrive at a pristine orthodoxy. Part of that process is to separate from anyone who disagrees with them, for dissent indicates a faulty theology. There is little humility, but an abundance of certainty. 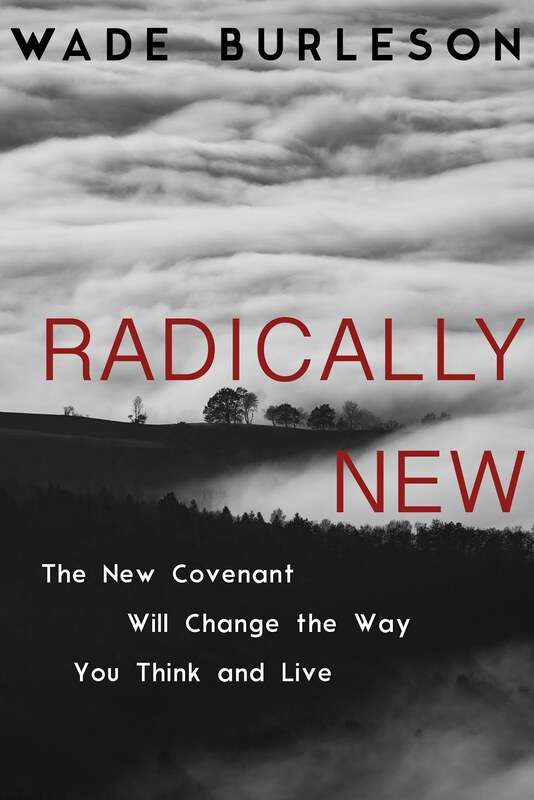 As matters considered central issues of theology are resolved and dissenters removed, a vacuum is created and issues that were once considered peripheral get sucked into the vital center along with a new group of dissenters. You are in this new group. I doubt yours will be the last group. They may back off in your case but another issue will arise, one that can gain more traction with the rank and file Southern Baptist. It is like a whittler trying to carve the perfect object. In the end all that is left is the knife in their hand and a pile of sawdust at their feet. The SBC needs to get ready for round two. You are naïve if you think it won’t come. It is also sad that the controversy within the convention is and has always been hair-splitting, mostly. Except for a few isolated cases within the seminaries, Southern Baptists have always been conservative. When all this started, one group said the Bible is inerrant and infallible while the other said it is authoritative and true. Can you explain to me how that slight difference justifies splitting a denomination? The real tragedy is that the authors of conflicts like this pit Christian against Christian, which does nothing but demean Jesus. The cause of Christ is the ultimate casualty. I am also sad that you have to endure this. I don’t know you, but I appreciate the spirit with which you are approaching this situation, and I know it has to be terribly stressful on both you and your family. I wouldn’t wish on anyone the kind of labeling and misinformation you are now experiencing on anyone, having been on the receiving end of such things myself, along with many others. The five suggestions you make in this blog entry are good. Had they guided the convention for the past 27 years, the convention would probably look much different today. Once again you have demonstrated a gift for cutting through the fog to get to the heart of the matter. I agree that each of these issues needs to be addressed by the convention, but my concern is that the parliamentary process will be used to squelch any efforts to do so. I am placing a link to this post on my blog. People need to understand these issues, and they need to go to Greensboro. I understand why anonymous may be in order but I think The person ought to have enough conviction to at least let you know who they are. You answered Mr. anonymous, up top by saying that he should go to Dr. Rankin...Many of your IMB missionaries have tried that...no change. Personally, I tried to work for change, in the "light of day," never hiding, asking questions for clarification. Unfortunately, there were so many layers of leadership between front-liners and decision makers, you get branded a TROUBLEMAKER before anything else is done. Do what you feel you need to do in the light of day." My question is, As we still have bad leaders and bad policies, what is our next recourse, and continue on our God ordained task? "There are dozens of heartbreaking stories of wonderful Southern Baptist men and women have felt called to the mission field, and would have been able to serve in decades past through the SBC, but due to the narrowing of the parameters of cooperation, are no longer qualified." Am I even worthy to continue serving since I am "no longer qualified?" Should I continue serving since I am "no longer qualified." How many of us are "no longer qualified?" I have the opportunity to ignore the "no longer qualified" for the time being. Those "outside" don't have the opportunity to ignore. I know the call on my life and understand what that call is. I know what the policies are. I have signed everything they have asked me. I have written what I believe about every subject under the BF&M and was approved (way before we had to sign that piece of paper). I have filled out my life history. I have revealed personal details with candidate consultants I have never revealed to anyone. I have been poked and prodded by doctors. I am told I have to maintain a certain weight or I will be dismissed. I had to take a psychiatric evaluation. I went through weeks of training before coming to the field. I continue to be trained. I have gone through so much to be here. A U.S. pastor “in view of a cal”l for a local pastorate would be totally humiliated if he had to go through what I went through to get here. I get confused by what I hear/observe when it comes to the realm of trustees. Some trustees seem to be really in tune with the reality of the work on the field. Others seem to be caught in some time warp of the 50's or really have no clue how to minister cross culturally. Sometimes I wonder if a reality check for all trustees would be to come and live for a year in an overseas setting (or just go do some inner city ministry for 2 months). Maybe then, they would realize the pettiness of this recent policy. I just don’t understand why these 2 things have to be an issue to serve. Especially since it was not advised by the president of the IMB. It almost appears that there is another agenda behind this. I have heard the rumors of those agendas but will not go into that. Is this new policy a result of politics of the convention getting in the way of Kingdom work. If the latter is true, SHAME. When it came time to “resign” the BF&M, I made the comment that I hoped that we were not being used as pawns to “endorse this course” of the SBC. I was pleased for about a year, until finally I saw it in print where the Trustee chairman at that time made a public statement that mentioned “all the missionaries signed it.” Like, that should settle the issue. I was extremely disappointed, to say the least. It seems that if an issue can be manipulated into the IMB structure and Ms don’t make any noise about it, it’s OK and the rest of the convention should be OK with it. I for one do not have an agenda of pushing the PPL on the field. It's private. It stays that way. If new believers get beyond drinking milk, I am excited. My spouse was rebapt in a Bap Ch because that was the only way he could "join" the ch. He doesn't count that as his “official” baptism. He knew in his heart and mind what it was all about the first time, too bad his local Bap pastor didn't/wouldn't accept that. Is he too “no longer qualified” because of his convictions? I hope and will continue praying that SOMETHING can be done about all this control/power issues in the SBC. It's tearing us apart. It's coming between family members. It's a sad, sad state we are in. It's not a healthy environment in which to serve. But God works in spite of us. God gives us sufficient grace and blinders to help us cope and ignore the "things" going on. But many before us have asked, "When is enough, enough." Enough has come for many and they have left the field because of the climate and what has resulted of that climate in the SBC. So, when is enough, enough. I think the time has come for the moderate young leaders to take a stand. Take your people to the convention. Yell from the mountain tops, “STOP! Enough is enough.” Let’s be about building the Kingdom of God instead of our own little kingdoms. Thank you all in advance!!!!!!!!!! Bad policies I agree with. Bad leaders I don't agree with. However, since I do not know to that which you refer, and since I am not a blind defender of someone, if you have information that you have approached the leaders with and have not been heard, then feel free to give me the same. We may disagree on our conclusions, we may not, but trustees should be willing to look at every option and make decisions with open dialogue. I don't think I realized the emotional effects that conflicts like this back home have on the missionaries abroad. It makes me sad. It also makes me angry at those who have been pursuing this kind of thing. What is so funny about this whole thing, is that God is still on the throne and is not surprised at all. I think someone forgot that little tidbit of information. Did you try praying about it before you drug the IMB through the dirt? SHAME! As I read the "blog" the anonymous missionary wrote, and I thought, you know we don't understand what is going on in the mission field outside the U.S. But, does anyone really understand the pressure on the IMB or the work they have to do? No! I tend not to take to heart what one person says about a disagreement without the other side also having a voice. That's why the bible says to have two or more witnesses. It is a sin to blog this page with accusing words. Go to the person or person's and tell them alone. Don't publish it on a website. How ungodly can that be? In response to the missionary, I am very sure there is a reason for the weight issue. I've heard it is a lengthy process. The board is not made up of 'hypostatic' men. They are not God and man. They are just men, humans who are doing the best for the Kingdom. They don't know what's in the persons heart. What if someone had a hidden agenda, to spread their opinions or unbiblical beliefs to those to whom they are sheparding? Do you think it above the devil to spread his lies abroad? The board is going by what the Holy Spirit reveals to them by your word, your written word. I know that if everything goes smoothly, it absolutely doesn't mean God is in it. To the contrary, it probably means the opposite. People need to know the devil is alive and active in this old world. If I remember what I read, that Pastor Hatley said the IMB was going to have guidelines from this point forward, to make each member more responsible to each other. When one falls down, pick him up, etc. I know this is not about a secret society, but I can certainly understand if the IMB should not want whatever it is you said Mr. Burleson, on your blogging page. And what is this blog site all about anyway? It seems to me that all you want to do is gossip 'nicely' and make yourself known. It seems you are trying to gather up all the itching ears you can get on your side. God doesn't take sides, he is the side. There's only one side for the Christian. God says he's on our side. Your truth is not truth at all, but glory be to God, He is the truth. Be careful, brother. All the board members should be accountable to each other. I'm sure it's not an easy task, being on the IMB. I know those Godly men want to do what God requires of them in that position, and at the same time, do what is right for the Missionaries. Plus, do what is good for the whole of the church. WHo in the world could do all those things and still preach and teach? The men God has called with an Holy calling. It is also not something you can carelessly flaunt, like it doesn't matter what is said to the public. This is serious business and there should be some discretion. You are confirming what unbelievers already think is true about Christians. They are no different than we are. Who wants to be one of those hippocrites? When the IMB has meetings, there IS a reason why the public is not invited to the meetings. There would be disharmony, indecisiveness, and there would be many who would not understand the purpose of this board. They possibly would interfere with this important work. This is not a committee at church. This is the "International Mission Board" that is SO important to God's people who die almost everyday for the purpose of spreading and sharing the gospel of Jesus Christ. We want to promote harmony within the body, not scisms, not mistrust, not double minded people. We are to stir each other up to love and to good deeds. We need to be of one heart, one mind, one body in Christ. In my opinion, you are hindering the efforts of the board and the churches. You should be ashamed before the God you say you serve. This tells me you are not ready to take on this very responsible position, and should be removed immediately. As for the IMB not supporting the education of future Pastors or Missionaries, that is an outright lie straight out of hell. Satan is trying to cause a scism in the Southern Baptist Association, but he will not win. We are powerful through Christ. Looks like you got the Holy Spirit to post here...or at least someone who thinks he is. 1. "Free exercise of principled dissent" This one is long gone. I wish it could come back, but again have little hope. To comment on one phrase here, if "the authority within the convention is the local church” why is there pressure from larger bodies to get churches, associations, and state conventions to agree to the 2000 BF&M? I was taught that part of being Baptist meant I had the right and responsibility to study the Bible for myself. (I did, and am Baptist by both upbringing and conviction.) This doesn’t seem to apply in the SBC any more. 2. "prevent manipulation of nominating process" I don’t know how this would be done without the will of those in power. See second sentence of this reply. 3. "forbidding undue influence" See Item 2 comment. 4. "servants ... not directors" Jesus spoke to this issue several times but many from His time to now have shown a reluctance to follow his lead in this (serving others rather than lording it over them). 5. "broad ...cooperation" Recent history (firing of missionaries over the revised BF&M, withdrawing from the BWA, other pressures to conform) says this isn’t likely to happen. There are things I put in the category of “trying to give God a bad name”; saying or doing things that make people not want to be associated with such. Hateful disputes among Christians fall into this category. People we want to reach look at these things and want no part of it. I am far from perfect but cringe every time I hear of some new statement or action by people who make a big deal of saying they are Christian but do not show Christian love for others. I hope I haven’t written too harshly, but it’s hard to stay calm when I see people driven away from Jesus by such things. I think that Ling Xiu "Spirit Repair" needs to go back and carefully read what has been posted on this blog! NOTHING that Wade has said revealed ANYTHING that was said in PRIVATE board meetings. Only the PUBLIC plennary sessions have been discussed. Why can he not, in a Christ-like way voice his concerns with the new PUBLIC policies? Secondly, the IMB trustees are accountable to US, the SBC convention, not each other. I would politely suggest that you carefully go back and read what has been written. Ask someone to help you, if English is not your first language..better to comment on these issues when you have a full understanding of ALL that's involved. 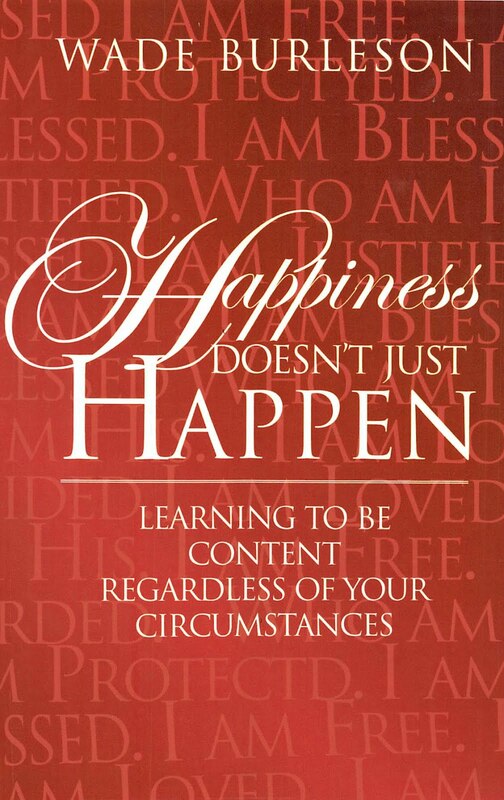 I have been reading n great book. I would highly suggest it to everyone...in fact, I wish there was a way to get one into the hands of every IMB trustee! Paul Billheimer wrote, "Love Covers" back in 1981. At that time he was 85 years old. The entire book is about unity and how we need to love those who believe differently than we do. He goes on to talk about essentials and non-essentials to salvation and says the divisions in the true Church are almost always over non-essentials. Agape love needs to cover all. I pray that this will happen. If you can find the book read it! Your comment reveals that you may not be fully informed on some pertinent details regarding these matters. First of all, you stated that "all the board members should be accountable to each other." That is true, but their accountability to one another comes AFTER their accountability to God first of all and then to the Southern Baptist Convention, which elected them. In a system where primary accountability is to the other trustees, then your premise that Wade should not speak out is correct. However, since the system under which the IMB operates places accountability to God first and accountability to the SBC second, when a trustee believes that an action of the board would be detrimental to the work of both the Kingdom of God and the SBC that trustee has a moral obligation to speak out against such action. Second, you said, "I tend not to take to heart what one person says about a disagreement without the other side also having a voice." That is wise, but to claim that the other side does not have a voice is absurd. Wade and others (including myself) have issued several invitations for them to post their side on our blogs, but for the most part they have not responded. (The fact that Wade allowed your comment to be posted is evidence of his fairness.) They have the same ability to create their own blogs as Wade does. And, because their side is the "official" one, they have greater access to official means of communication (such as press releases) than Wade does. The fact is that the other side has just as much of a voice, if not a greater voice, than Wade does, but for the most part they have chosen not to use that voice. Third, in your comment you seemed to imply that IMB meetings are closed to the public ("When the IMB has meetings, there IS a reason why the public is not invited to the meetings. "), but actually the trustee meetings ARE open to the public, with the exception of executive sessions. The matters that Wade has written about on this blog were discussed in these open sessions. He has been careful not to divulge any details about what transpired during executive sessions. Fourth, you seemed to be accusing Wade of violating biblical principles when you said, "That's why the Bible says to have two or more witnesses. It is a sin to blog this page with accusing words. Go to the person or person's and tell them alone. Don't publish it on a website. How ungodly can that be?" If you have followed these matters closely, you would have seen that Wade DID attempt to reach a resolution privately. You would have seen that he DID have two witnesses to the events he described at the trustee meeting in January. Fifth, you accused Wade of dragging the IMB through the dirt. Show me just ONE statement from Wade that maligns the IMB. Every statement about the IMB that I have seen from Wade is positive and affirming of the IMB's work and especially of its people. Sixth, toward the end of your next to last paragraph you seemed to imply that Wade is causing disharmony and schism within the SBC. The fact is that Wade is striving for unity within the SBC by opposing extrabiblical policies that would exclude many called and devoted Southern Baptists from the mission field. He is calling for all of us to unite around our common beliefs on the essentials of the faith and work together for the Kingdom of God, even if we disagree on certain nonessential points of doctrine and practice. It seems to me that those who refuse to cooperate with someone unless he or she agrees with their interpretation regarding these nonessentials are the ones who are guilty of schism. I find it ironic that you criticize Wade for his "accusing words" on this blog, yet the entire tone of your comment is accusatory. Furthermore, the accusations you make (or seem to make) have no factual basis. If you go back and actually read Wade's posts and his comments, you would see many statements where he speaks positively about the trustees on the other side and discourages any personal attacks on their character. You would see a spirit of gentleness and love in Wade's posts. I typically try not to post such long comments on other people's blogs, but I found your accusations to be so blatantly inaccurate and inflammatory that a detailed response was warranted. Say my people group is 500,000, ½ million people. Of that ½ million, 50% are under the age of 15. I now have a pool of 250,000 to choose from. 60% of that population is women. They can’t be pastors so I am at 100,000 to choose from. Because my people group is mostly oral learners (non-literate) at 80%, I am now down to 20,000 men over the age of 15 to choose from. At the moment, only 2% of that population is Christian (that includes men, women, and children). I would have 400 literate men over the age of 15 that are literate enough to learn in an institution. The average lifespan of a man in my people group is 45. I would say 50% are between 15 & 25. So 200 are over the age of 25. Some of these men are Methodist, Presbyterian, Catholics, not all are Baptists. I might mention they probably are not all called to be pastors. If the gospel is to reach the people, we need to move beyond our literate methods. We are trying. That may be the reason you do not see a lot of requests for theological training in institutions. We are trying to train nationals in oral methods on the field where the people are. It’s a challenge, but something we desperately need to do if the people are going to hear and respond. I didn’t mention that my people group doesn’t have a Bible in their language. Not that they could read it. Those that are “literate,” are so in the national language of the country. So, we try in oral methods in the local language. Do you want a challenge? Are you up to the challenge? I don’t share this to ‘put down’ institutions. I just want you to have a clearer picture of the reality of the challenge we face on the front lines of the gospel going out, heard, understood, responded to, and put into practice. Just because there are few requests for theological professors for seminaries does not mean that the IMB has abandoned this type of training. There are still institutions all over the world that are SBC funded and supported. I know of one in French speaking West Africa that NEEDS professors. There are 20 – 25 students from French speaking West Africa each year that attend. If you really feel that God is calling you into theological training, I am sure they would welcome you with open arms, even for a couple of weeks. Here is the website if you are interested in contacting them. http://esbtao-tg.ifrance.com/ It’s in French, but you can write an email in English. If you really feel called to only theological training in a ‘traditional’ way, you will probably have to raise your own support and not go with the IMB. I have colleagues who are doing that right now at that seminary in West Africa. As we go “deeper into the bush”, we have to make adjustments. As we go to those who do not even know or have heard the name Jesus, we have to be open to new ways. As we leave the comfort of our American homes and our American culture, we have to adapt. If not, millions will go to hell without ever hearing the name of Jesus. We have to constantly rely on the Holy Spirit to guide us in new ways. Ways we never thought could be accomplished. We are able by His guidance. I hope this will encourage you to explore other options either by pursuing a call to theological education in an institution or some other imaginative way. We NEED all who are called to walk beside us and carry the light to a very dark world. 1) Grave mistakes were made when doctrine written by men were escalated above God's word. 3) Great mistakes occured when preachers stopped serving and isolated themselves from ministering to the aged, sick, lonely, and poor. 4) Great awakenings occured amidst great church doctrinal error as common people searched God's scriptures and made God's word their ultimate authority. 5) Great awakenings occured as leaders within the church fell under the conviction of God of doctrinal error and put the love for God ahead of their career, dreams, goals, and ego. I am praying for you, Wade and pray that we are on the verge of a great awakening. I have been following the situation in the SBC for the past six months as a guy in the pew. I think the crux of the problem is with the method of nomination of the trustees for the various boards such as the IMB and the NAMB. The conservative "revolution" addressed situations of liberal teaching in seminaries. That was phase one of a needed change in the SBC. The second phase needs not to be a theological reform but a reform in the method of governing the SBC. Trustees must have a proven track record in management and problem resolution. After all - that is the job description of what the trustees actually should be doing. I don't necessarily see rewarding "denominational service" as the best criterion for trustee selection. I think it is about time the SBC changed its bylaws to implement a different process for selecting trustees. I don't know what that process should be exactly but it has to change to be more inclusive. I challenge whoever is the next president of the SBC to appoint a commission to look into governance of the SBC -- especially as it relates to appointing and/or electing trustees for the key agencies of the convention. The SBC is a huge group and we are not all carbon copies of each other. None of us has a corner on the absolute perfect understanding of the Bible. Therefore, we may sometimes disagree on second order things. Right now the method used to appoint trustees is "top down" and as such represents only a subset of the pulse of the SBC. I don't think method is serving us well any more. The trustees -- because they are all appointed through a common filter -- don't reflect the breadth of all the stakeholders in the SBC. This is only a guess but I bet that the average age of the trustees is way out of sync with the age of the people in the pews. I wonder how diverse the occupational and educational backgrounds are on the boards. The people running the agencies should be representative of the people supporting them in prayer and financially. Take a look and the situation in both the IMB and the NAMB over the last decade. I think many of you will agree that things might have been better with more diverse and pro-active trustee boards. A little about my own background. I was saved and baptized in a SBC church in California in 1960. I was married to my current wife in an SBC church in 1965. I retired a few years ago after a 40 year career Silicon Valley where I managed projects relating to embedded microcode. My wife and I moved to Oklahoma after retirement. Thanks for your insight, courage, and commitment. Your five themes for the SBC in Greensboro are right on target. The are solidly grounded in Biblical principle, Baptist heritage, and Christian integrity. Fifty-eight years ago I was ordained to the gospel ministry by my home church. I was blessed by the opportunity to attend and graduate from a Baptist College. I earned two degrees (M.Div. and ThD) from a Southern Baptist seminary. I seek to understand and evaluate all confessions of faith (BF&M, etc.) in the light of the Scriptures -- rather than to interpet the Bible according to any creed or confession. The Living Word of God, communicated through the Written Word, and empowered by the Holy Spirit among believers is our prime authority. Sometimes tempers flared and personal egos were bruised; nevertheless, when the debate was over and the dust settled, men and women of strong theological differences joined heads, hearts and hands in the main tasks of evangelism, missions, and discipleship. I know the pain of being misunderstood and misrepresented because I would not "choose sides" and disparage those with whom I disagreed. In fact, I finally realized that the issues were no longer the issue - the only thing that really mattered was "which side are you on?" Wade, I repeat. You are on the right track. Stay true to your principles. Do not let anyone "shut you out". If they draw a line that rejects you, just draw a circle in Christ around them and continue to "turn the other cheek" and "go the second mile". This is the kingdom way - Christ's way. It is not the way of weakness or of compromise. Rather, it is the way of the most powerful force ever - the way of suffering love and cleansing truth. It is the way of "that gentle and powerful love of God". It is the only way that changes hearts and produces redemptive results. Wade, I am not naive. There is no guarantee that the approach I describe will "produce miracles overnight." In fact, confronting the power structure with uncomfortable truth is always difficult and painful. To do otherwise, however, may cost one "his own soul." I pledge to pray for you regularly and for those whose heart's resonate to your commitment. I am deeply grateful for my heritage as a Southern Baptist; but I am heart-broken by the "thirst for power and control" that seems to determine so much of what is happening in our midst today. God bless all those who seek his will and way. My denomination left me in 1990 when the College of Cardinals labeled me and my friends, not "liberals," but "infidels" for refusing to bow the knee to their golden calf. Once the true believers were in control, they promised, the SBC would enter a new Great Awakening, with baptisms by the millions, thousands of new churches, missionaries, seminary students, etc. All that was needed was the purging of the nonbelievers. Now, sixteen years later, where's the fruit?